Much of the Methodist Home's progress in advancing our vision of care has been made possible through the generosity of private patrons; through their donations and bequests, as well as volunteer service. Each and every donation makes a difference in the lives of our residents in many ways. We know that giving to any institution is an important decision that is motivated by the desire to help those in need, much in the same way our founders reached out to suffering, indigent people so many years ago. Every one of our residents, now and in the future, benefits from the philanthropy of the Home's benefactors as well as resident families and friends. Gifts cover the cost of providing medical care and services that exceed state and federal reimbursements. We invite you to consider the ideas below, and recommend that you consult an attorney or financial expert before you make any giving decision. Your thoughtfulness can have a tremendous impact for our future residents. When you join those who have included the Home in their long-term gift planning, you automatically become a member of the Home’s Society. Be sure to talk to a financial expert or your personal attorney before making any gift decisions. Life Insurance: Perhaps you initially purchased a policy to ensure your family's financial stability, or to pay college tuition for children that are now self-sufficient. The gift of life insurance is a generous and sensible course of action. When you assign ownership of your existing life insurance policy to The Methodist Home, you receive a current income tax deduction and possible future deductions if you continue to pay any remaining premiums. If you use appreciated stock to make these premium payments, you reap additional tax savings by avoiding capital gain taxes. Retirement plan assets: You may be able to avoid double taxation of your retirement assets by naming The Methodist Home as a beneficiary through a charitable gift, and leaving other more tax-efficient assets to your heirs. When you make such a charitable gift, the death benefit qualifies for a charitable deduction from your estate, and one hundred percent of the assets are passed to The Methodist Home without being taxed. Charitable Lead Trust: You can pass family assets to heirs and receive significant estate tax savings by making a gift to the Home using a Charitable Lead Trust. This type of giving reduces beneficiaries' taxable income by first donating a portion of the trust's income to the Home and then, after a specified period of time, transferring the remainder of the trust to the beneficiaries. This type of trust is an exceptional way to transfer property to your children or other heirs at minimal tax cost. It’s ideal if you’re willing to forego investment income on an asset but don’t want to force your heirs to surrender the principal. With a lead trust, you carry out your philanthropic plans over the coming years, and save on taxes. Make your check payable to The Methodist Home for Nursing & Rehabilitation and mail to the address below. If you would like to include a completed Donation Form with your check click here for a printer-friendly version. Sponsoring resident activities are a great way to get involved with the Home. Sponsors donate funds for live entertainment, coffee and food for all residents attending the supported activity. Sponsors also receive name recognition on printed invitations given to all residents, as well as optional messaging from the sponsoring family/individual, be it in honor or memory of a loved one, etc. Sponsoring individuals and families are always invited to the activity supported. 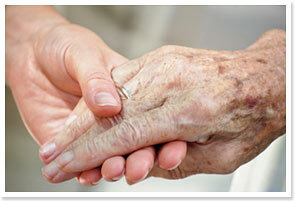 • Long-term Giving including life insurance, retirement plan assets and Charitable Lead Trusts. •	Employer Matching Funds: Ask your company how it can help your gift go even further. •	Make your donation now!